Between Journals and online resources, textbooks are increasingly less useful. 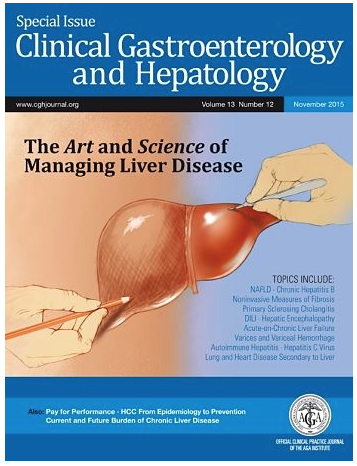 Case in point -this past month, Clinical Gastroenterology and Hepatology published a special issue: The Art and Science of Managing Liver Disease. Some of the articles are excellent reviews. Anti-soluble liver antigen/liver-pancreas (SLA/LP) and Asialoglycoprotein receptor (ASGPR) useful in diagnosis of AIH type 1 or 2 and is prognostic for severe disease. In U.S. current guidelines suggest an azathioprine dose of 50 mg (for adults) whereas in Europe the dose is typically 1-2 mg/kg/day. The authors suggest that the U.S. guidelines could lead to undertreatment, particularly with increasing rates of obesity. The authors state that routine “testing for TPMT deficiency before AZA treatment of AIH is unnecessary, because severe TPMT deficiency occurs in 0.3%-0.5% of the general population and does not invariably cause AZA-induced bone marrow toxicity.” [I will probably continue to check TPMT activity.] They do recommend TPMT testing in cirrhotic patients and those with cytopenias. The authors note that successful long-term withdrawal can occur in 19-40% but recommend biochemical remission (>12-24 months) and histologic remission. They caution against withdrawal in patients after a relapse due to increased risks of progression to cirrhosis and/or death. When discussing alternative therapies, the authors note that mycophenolate mofetil (MMF) is typically effective for patients intolerant to AZA but not likely to work in AZA nonresponders. Alternative agents reviewed included tacrolimus, cyclosporine, sirolimus/everolimus, rituximab, and infliximab. Other topics in this issue included NAFLD, HCC, Varices, Hepatic encephalpathy, HBV, HCV, Acute-on-Chronic Liver Failure, PSC and Malignancy, DILI, and noninvasive imaging for liver fibrosis.